San Diego, Calif., March 22, 2017 — Learning Equality announced today that it will receive $5 million from Google.org to further develop Kolibri, a platform that provides access to a diverse set of learning resources to teachers and students in low connectivity environments. The non-profit company is based at the Qualcomm Institute Innovation Space on the University of California, San Diego campus and has raised a total of $9.5 million since its creation in 2013, including grants, donations and contracts. 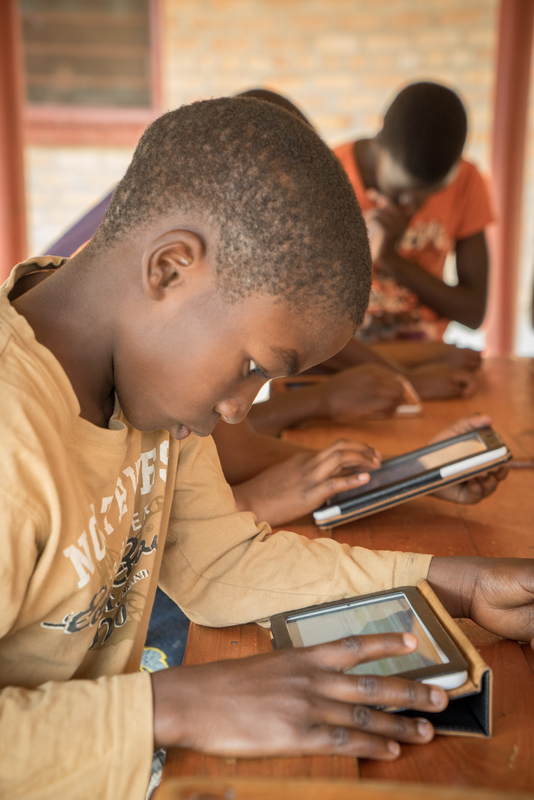 Prosper, 11 years old, interacting with KA-Lite educational materials on a tablet in Zambia. Kolibri overcomes infrastructural barriers that prevent equitable access, increases the availability of relevant, aligned learning materials, and fosters innovative pedagogy and effective learning outcomes. Jamie Alexandre, Co-Founder and Executive Director of Learning Equality, states: “We believe that by enabling offline access to quality, openly licensed educational content, combined with supportive pedagogical tools, in low-resource contexts around the globe, we can help to level the playing field and close achievement gaps." Learning Equality will use its grant from Google.org to build a bigger, better content library; develop a set of products that will help offline users access, organize and use digital content; and enable access to the library of content at scale. With this support from Google.org, Learning Equality will increase its capacity to provide direct implementation guidance to partners, and develop a “do-it-yourself” implementation toolkit to enable grassroots adoption by non-governmental organizations and other educational institutions. "We’re thrilled that Google.org and our fellow grantees are so aligned in this shared effort to close the learning gaps in global education by enabling universal access to tools, content, and pedagogy that support the success of both students and teachers,” says Alexandre, who is a doctoral alumnus of the UC San Diego Department of Cognitive Science. Learning Equality is one of nine nonprofits chosen in 2016 by Google.org to help close the world’s education gap by developing technological innovations to improve learning opportunities and outcomes for children and youth around the globe. Other grantees include Khan Academy, Pratham Books, RTI International, Million Sparks Foundation, Nova Escola, Pratham, War Child Holland and the Clooney Foundation for Justice. Learning Equality will officially be launching Kolibri this summer. This new application builds on lessons from Learning Equality’s first generation product, KA Lite — a software application that allows users without Internet access to engage with Khan Academy videos and exercises in completely offline settings — which has reached more than 4 million learners in over 175 countries and territories in the past 4 years, in rural schools, orphanages, refugee camps, prisons, and community centers. “Learning Equality recognized the potential for engagement with UC San Diego students in the Qualcomm Institute to accelerate the development of Kolibri, their flagship product," said Ramesh Rao, director of QI, which runs the Qualcomm Institute Innovation Space (QIIS). "Learning Equality's success is all the more noteworthy when you factor in their 'you cannot tell the head from the tail' management style."